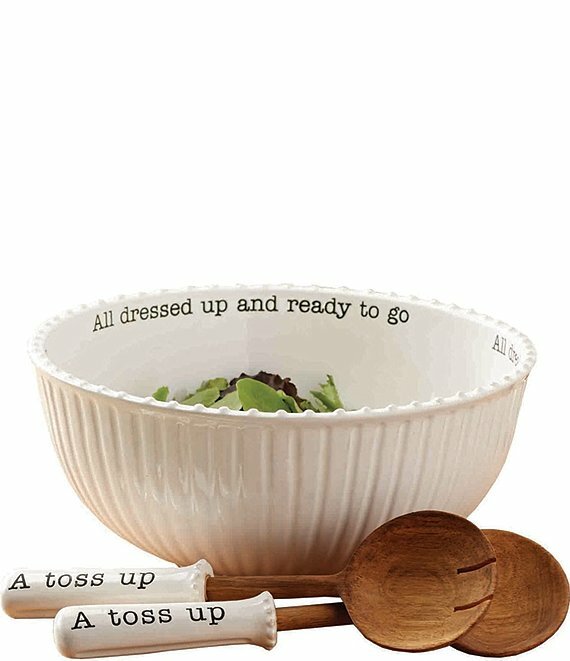 handled salad servers stamped "A toss up"
bowl approx. 5" deep x 11" diameter; servers approx. 12"